How long can cats go without food, and how long can a cat go without water? 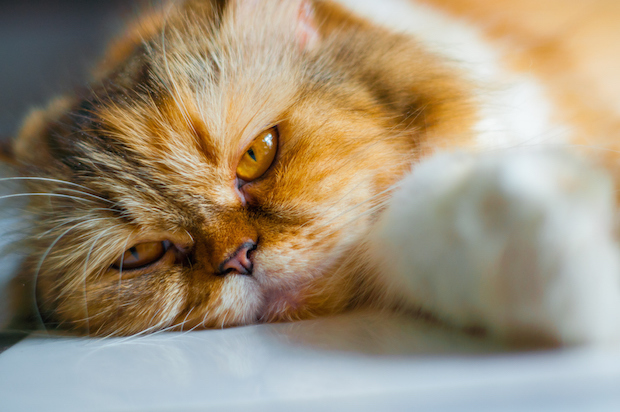 These two questions are asked by thousands of cat owners who worry about their pet’s decreased appetite and water consumption. Cats can only live about three days without water. However, if a cat is eating canned food, much of her water consumption can come from the food. Cats can live for about two weeks without food, as long as they have adequate water to drink. However, going more than a few days without food can lead to serious health conditions. The next question is, when should I take a cat to the vet if he’s stopped eating and/or drinking? Loss of appetite and decreased water consumption are critical red flags for a cat’s health, and taking note of red flags is important because our feline friends are quite good at hiding their illnesses. Making that decision on getting to a vet depends on the individual cat. 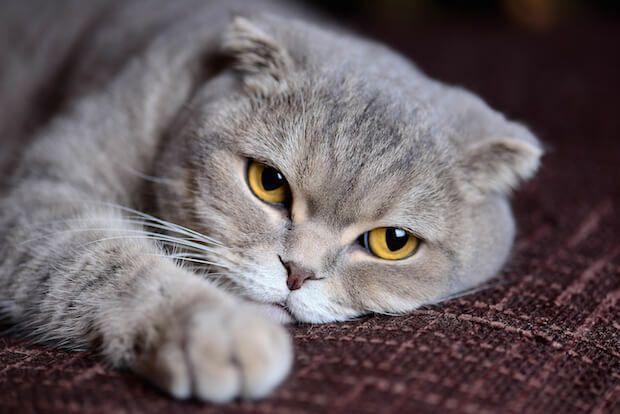 PetMD.com explains that there are times when a cat might simply feel finicky for a meal or two, and vomiting up hairballs or substances that they shouldn’t be eating can cut appetite temporarily. Feline nasal congestion, inhibiting the cat’s ability to smell, can also cause periods of low appetite. Take your cat to the vet if he fails to eat for 24-36 hours, even if he’s drinking water. When a cat stops eating for several days, she will start losing energy and the nutrients she needs. To coax a cat to eat again, the vet will first want to address any health issues discovered that could be causing the lack of appetite. While waiting for your cat to feel better, you may have to coax her to eat. Most cats will take a little tuna in water (not oil), and sometimes lightly warming canned food creates a tempting aroma. If you cat is partial to dry food instead of canned, try putting a single piece of kibble on her tongue if possible, in order to stimulate the appetite. Finally, your vet may advise you to give something very soft or even liquid through a syringe in the corner of the mouth. The good news is that once a cat does start eating again, she’ll be able to restore those nutrients and get back to her healthy self. The bad news is that some cats, particularly obese or senior cats, are in grave danger of developing something called hepatic lipidosis, or fatty liver disease (FLD), if they keep losing weight. Fatty liver disease occurs when fat cells stored in the body are metabolized for energy. While that would be great news for humans, for cats it means that the fat builds up in the liver and causes major dysfunction, which in turn makes the cat feel even less like eating. Idiopathic HL is caused by refusing food, usually because of stress. Cats feel anxious for many reasons, most of them involving changes in their environment: people, animals or food. Secondary HL is generated by anorexia, which in turn is caused by a pre-existing condition such as diabetes, GI disease or pancreatitis. A cat’s lethargy, lack of appetite, diarrhea, constipation and vomiting along with weight loss can be signs of HL. 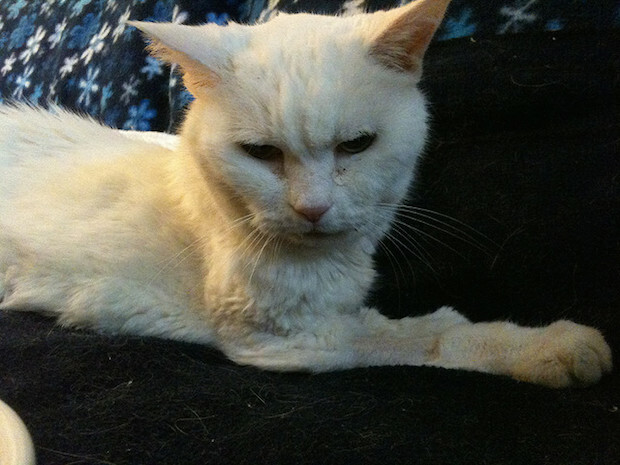 Because this disease affects the liver, you may see a cat with yellow skin, as did this JustAnswer customer. My 12-year-old cat was diagnosed with fatty liver disease one month ago. I have been forced feeding and forced giving liquids ever since. Ginger also takes some medicine like anti vomiting, depression, milk thistle, and liver support. For more than a day now, I don't think that she peed. Her gums were 100% yellow. The veterinary Expert, PittRottMommy, advised the customer to return to the vet for updated bloodwork to check on Ginger’s organ function. She also suggested isolating the cat from others in the household so it would be easier to monitor urine output. Sadly, the Expert noted, “Some cats bounce back well after a diagnosis of FLD, but others don't.” Generally, the earlier the treatment – including force-feeding a high-calorie, high-protein food for several weeks – the better the chance for recovery. A cat who eats dry food but doesn’t drink, or stops eating altogether and therefore isn’t getting any liquids from his food, is in danger of dehydration. Dehydration can be even worse for a cat, and complications take effect faster. Dehydration causes damage to the liver and other organs, along with urinary tract disease. The longer the cat goes without liquids, the more likely he is to suffer long-term damage or even death. One of the most immediate effects can be damage to the kidneys, leading to long-term kidney failure. Kidney failure is one of the leading killers of cats, and can occur even in an otherwise healthy cat if it’s reached senior citizen status. Anytime you notice a change in appetite or drinking in your cat, unless it’s a repeat performance and quite brief, it’s time to consult a vet. If you’re unsure about making an appointment, or just need some guidance in the middle of the night or any time your vet’s office is closed, you can quickly contact the cat veterinary Experts on JustAnswer.com. She is vomitting up food and bile. No normal dry food.